Friends, USANA has done it again! This recent post from USANA Health Sciences makes it clear that we can do something to promote better heart health. Here is the article. It’s a little bit technical, but worth a good read to understand how important prevention is for a long, healthy life to your heart. A collaborative study between USANA and Boston University shows that supplementing with grape-seed extract and vitamin C can help improve cardiovascular disease. For full details, visit USANA’s Science Posters page. Recently, some studies have suggested prescribing statin drugs to patients, all in the name of preventing cardiovascular disease (CVD). Does anyone else think this preventive treatment is a little heart dumb? To further support USANA’s philosophy of using nutritional supplements as part of a heart smart lifestyle, the amazing USANA scientists recently conducted a study in conjunction with a research team at the Boston University School of Medicine. The study showed that some key nutrients in dietary supplements can actually be beneficial for patients who already have a form of CVD. Oxidative stress appears to impact the heart’s ability to effectively pump blood through arteries and blood vessels. We all know cutting down blood flow is NOT a good thing. Over time, this impaired function has been shown to be a critical factor in the progression of CVD. Grape-seed extract and vitamin C have both been widely shown to provide significant protection against oxidative stress, as well as to have positive effects on blood pressure. The USANA/BU team suspected that the powerful antioxidants could support healthy blood flow through supplementation of these two key nutrients together. Researchers gave study participants, who were already diagnosed with CVD, either a placebo or 450 mg of grape-seed extract and 1500 mg of vitamin C, divided into two daily doses of two tablets. Blood samples were taken four hours after receiving the first dose, then again four weeks after taking the same dosage every day. The researchers measured plasma levels of vitamin C, epicatechin (bioflavonoids), and plasma antioxidant reserve (PAR) a measure of the blood’s resistance to oxidative stress. They also measured blood flow using fingertip peripheral tonometry (PAT). PAT is especially useful in measuring changes in blood flow because it focuses on the peripheral arteries in the fingertip. 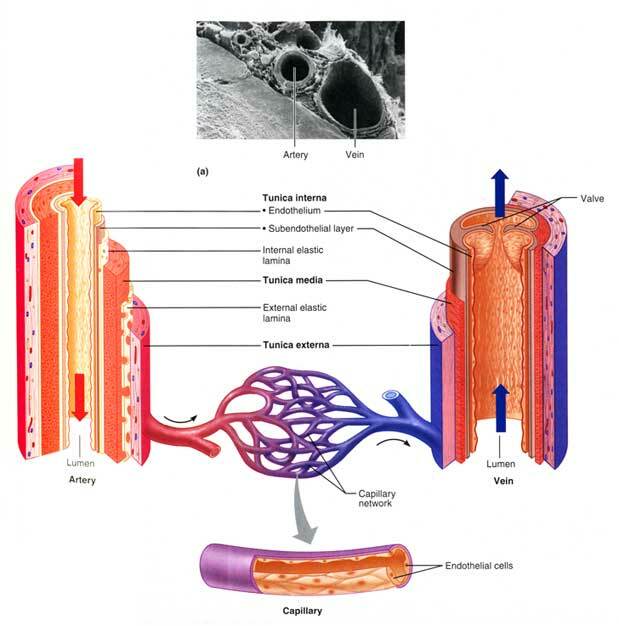 Making up the majority of the blood vessels in our bodies, peripheral arteries are those that are farthest from the heart. They are miniscule when compared to the arteries coming directly from the heart, so any noticeable changes are significant. Those with CVD generally do not show a healthy blood flow response when measured using PAT. In the treatment group, vitamin C, epicatechin, and PAR increased to varying degrees at all three time points measured, meaning all the antioxidant levels were improved. PAT blood flow response also showed significant improvement following the 28-day treatment relative to the placebo group. These results suggest that grape-seed extract and vitamin C, working together, improve vascular function in patients with CVD, even in those tiny peripheral arteries. The results of this study were so impressive that they were presented to American Heart Association.